Once again, the rich get richer. 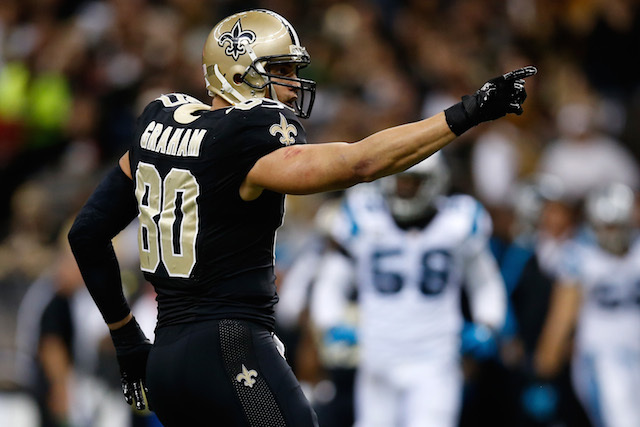 In a move that was first reported by Jay Glazer of Fox Sports, the Seattle Seahawks and the New Orleans Saints agreed on a trade that will send superstar tight end Jimmy Graham and a fourth-round pick to Seattle in exchange for center Max Unger and a first-round selection. Graham was set to enter the second season of his massive four-year, $40 million deal, but now it appears that the Saints brass will no longer be footing the bill. We can’t imagine what was going through Drew Brees’s head when he heard about the trade. Graham is a major offensive weapon, and now the quarterback will have to go into the 2015 season without one of his most effective targets. On the other hand, the Saints are acquired a skilled 28-year-old Pro Bowl center in Max Unger who can help fortify their offensive line for years to come. This is one of those trades that could cause a major ripple effect throughout the rest of the league, and it most certainly has the sports world buzzing. But right now, the focus has to be on the Seattle Seahawks, who have managed to bring another dynamic playmaker into the fold. This move is only going to make the Seahawks offense that much more dangerous. 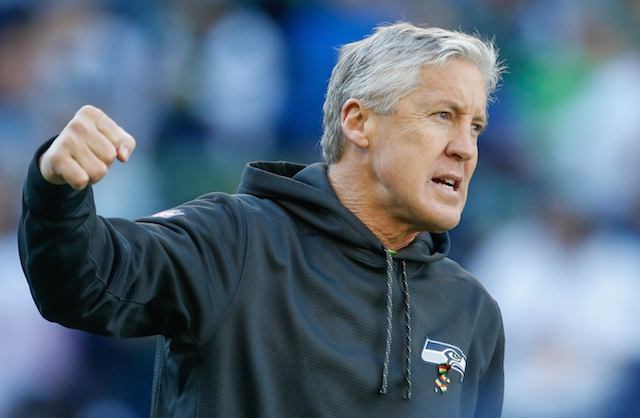 What will the addition of Graham do to the overall offensive philosophy that we’ve become so accustomed to in Seattle? We have to imagine that the Seattle Seahawks will continue to be a run-first team on the offensive side of the ball. After all, they did decide to re-sign Marshawn Lynch to a two-year extension that will pay him him $12 million in 2015. And if you have Beast Mode in your backfield, you’re more than likely going to make it a priority to get him the ball (unless, you know, it’s the final play of the Super Bowl and you’re on the one-yard line). The point is, the Seahawks have one of the best backs in football, and the game will probably run through him. But the addition of Graham will allow Seattle to have a more balanced offense and give superstar Russell Wilson a new toy to play with. The 2014 season wasn’t one of Graham’s finest statistical years. His 85 receptions were right around his total from the season before, but his 889 receiving yards and 10 touchdowns were way down from his 2013 totals. But if there’s anything we’ve learned from the Seattle offense in years past, it’s that the Seahawks know how to get the most out of their talent. And believe us, Wilson has never had a receiving threat quite like Graham. At 6-foot-7 and 260 pounds, Graham is a strong tight end with incredible athleticism and superior leaping ability. He plays more like a wide receiver, to be honest, and his skill set will mesh perfectly with Wilson’s knack for extending plays and effectively using the play-action pass. Graham may no longer find himself on the receiving of end of passes from Brees, but the quarterback in Seattle is not too shabby himself. Coach Pete Carroll and General Manager John Schneider may have given up a quality center and first-round draft pick in this deal, but what they got in return was a game-changing player who will bring more explosiveness to their already solid offense. All statistics are courtesy of Pro-Football-Reference.com and ESPN.com.